This week we continue to work on features for 0.2.5, however, we have encountered some bugs in some of these new systems that we’ve been developing for the patch. As we focus on squashing those bugs, sadly, the release date of 0.2.5 is now pushed back to next week. Apologies for the delay, we just want to make sure that everything is working smoothly as possible in 0.2.5. And thus we have released a patch with fixes and a couple of tweaks, including an IB monument price drop, which we hope will kindle wars for provinces. You can read the full patch notes here. Now, go and conquer those provinces, and in case you forgot how the conquering mechanics work in 0.2.0, don’t forget to check our guide to 0.2.0! Please tell us how you liked it, we are looking forward to hearing your feedback, and we absolutely cannot wait for you to try it when 0.2.5 is released. This week we have two 0.2.0 challenges completed, and both by one guild! We would like to congratulate Vanirs Expedition guild with accomplishing ‘My House, My Keep - Build a Small Keep’ and ‘Veni, vidi, vici'. Keep up the good work! In other news, we are happy to announce that player-run events are back! On March 19 the first ever player-driven PvE and Arena event - organized by our fellow feudalist Device - shall commence! The event will last for 5 days and end on March 23 at 23:59 (your local time). During these 5 days, there are going to be chosen the best PvE players in the following specialties - Farmer, Blacksmith, Forester, Carpenter, Gatherer and a Digger. The event will also determine the best Arena players in 3 classes: Berserkers (two-handed weapon), Swordsmen (shield and one-handed weapon) and Spearmen. The best of the best are going to receive great prizes, provided by lifdamage.online and the LiF Team. Find more info about the event on Device’s webpage. All you need to do is upload your logs, just like in any other of Device’s events. You can find detailed instructions on how to do it here. May the best feudalists win! 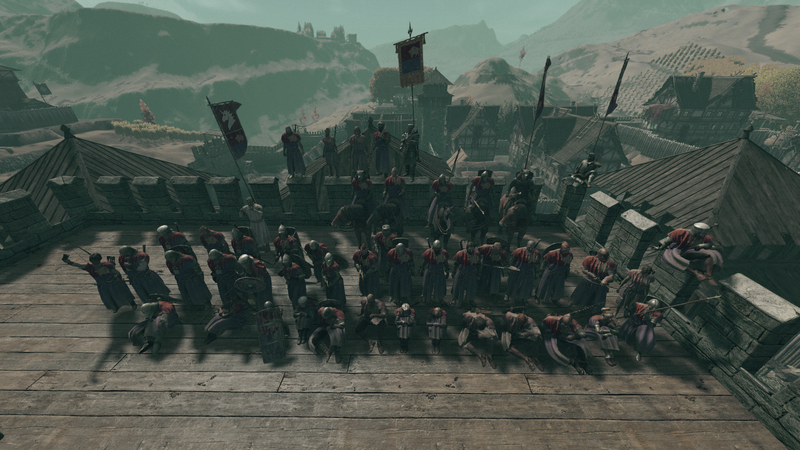 And tomorrow there is another event organized by our player Alexejcraft - The Caravan of the Clergy. You can read more about it in our Discord MMO events channel. Come and join! Another feudalist who also happens to be a content creator, Papai Krestovi4, has launched a contest on his channel — he is willing to giveaway his old city of Forrestville on Epleland to a new owner. Check out his video (it has English subtitles in it) and take part in the contest, and maybe you will become the owner of Forrestville and bring glory and fame to it!